Burning Moon's Inside advice: Tastee Apples Review! 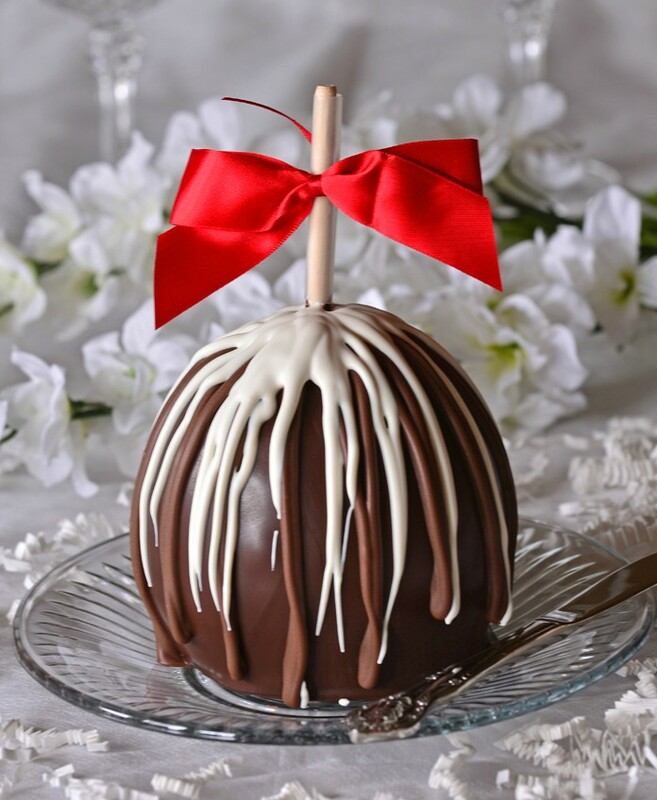 Once a year I get a major hankering for wanting to buy and eat a Candy Apple, and although I've been wanting a candy apple for a while I haven't bought one in about two years so I was very excited when a company called Tastee wanted to send me a few of their candy apples to test out. 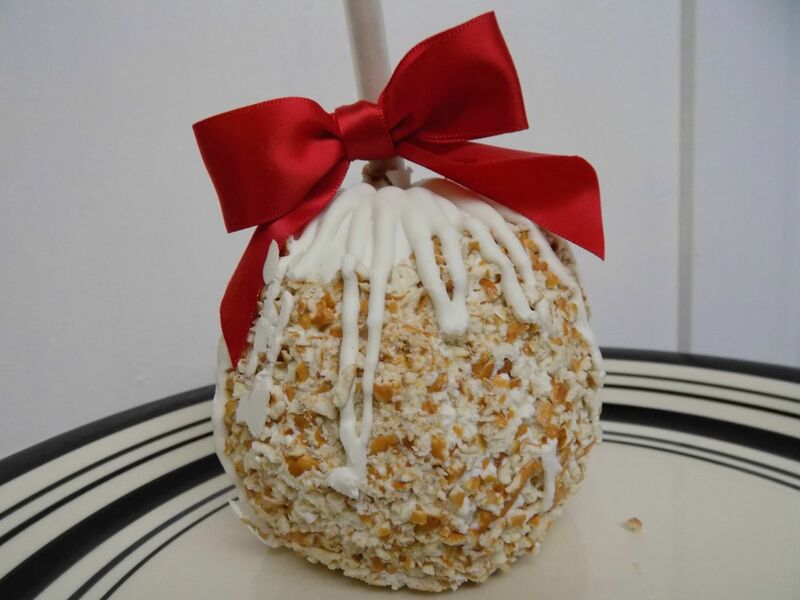 I received their caramel apple with nuts, caramel turtle apple, the White Pretzel Wonder, and the triple chocolate sensation. Two of the photos above are photos I took the other two are stock photos, I learned it is hard trying to photograph all the apples before they were gotten into when you have two kids and a fiance in the house who love sweets. Out of the four I enjoyed the white pretzel wonder the most, the combination of the pretzel, chocolate and apple were really lovely and complimented each other nicely it had a nice mix of sweet and salty. 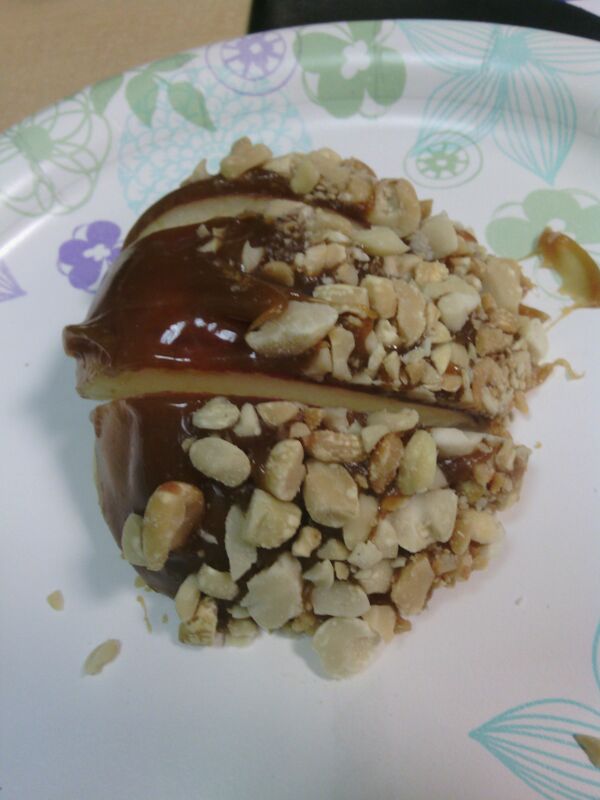 The caramel with nuts is a classing that I do enjoy eating but the turtle would be my go to over that because it has the chocolate chips along with the nuts. The triple chocolate is also really good but should be refrigerated before eating so that you don't have a chocolate mess all over your hands. These apples were easy to cut and the sticks didn't give me any issues, I thought it was nice that the two fancy applies came with the red bows on the sticks it makes them look like a gift and not just a snack, the two smaller apples came in the plastic packages like you see in the store. Shipping was speedy and the apples were placed into a large ice pack bag to keep them from melting all over the place on their way here. Customer service is friendly and is happy to help with any questions you may have. My favorite thing about these apples? They don't cost an arm and a leg, the fancy apples are $24.95 for a trio and the smaller apples are $24.95 per dozen. These apples would make wonderful Christmas gifts or just a fun thoughtful gift any time during the year. Which of the four apples looks or sounds the most appealing to you? I want to try the triple chocolate sensation. 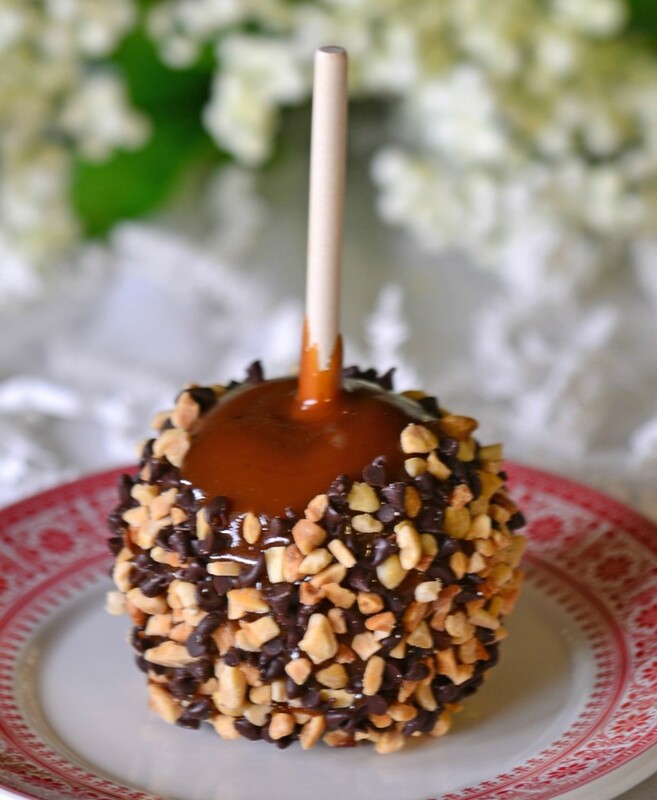 I love the classic caramel apple with nuts. How am I supposed to choose one? Caramel and nuts just taste like Autumn! The Caramel Turtle Apple would be my choice! YUMM! My favorite is the Caramel Turtle flavor. Delicious!! The turtle one looks delish! But I'm a sucker for nuts and chocolate. Oh those all look so good! I think my favorite would be the caramel turtle!!! Peter Pan 360 Cyber Monday Sale! North Star Games Giveaway & Review! $25 Ulta GC + Makeup Goodie Bag! Lily Nily Giveaway & Review! Tropical Valley Foods Giveaway & Review!